Green Geeks is the leader in providing green energy hosting plans. It is the finest quality web hosting company, capable of providing 300% green energy powered web hosting services. If you are looking for a substandard and cheap web hosting company then you are at the wrong place. GreenGeeks web hosting is not at all cheap as it only makes use of renewable energy which is more costly than other sources of energy. There are several benefits that one gets after taking the services of Green Geeks as one should know what services they are getting for the money that they are spending. Green Geeks provides customer support round the clock and that too of the top most quality. The world class customer service can be utilized with the help of phone, tickets, live chat etc. All the queries are addressed within ten minutes. For more details, one can log on to the official website of the company i.e. www.GreenGeeks.com. All kinds of details are present on this website. One can check out why they should choose Green Geeks over others and what plans would suit them the best. The basic reason why Green Geeks is number one is because of its superb management. It has nearly forty years of aggregate experience in the field of web hosting. The company is the brain child of Trey Gardner, the CEO. There is a whole team of experts with expertise in different fields. GreenGeeks is a completely professional web hosting website that provides unique features so that the webmasters find the hosting company according to their budget and need. 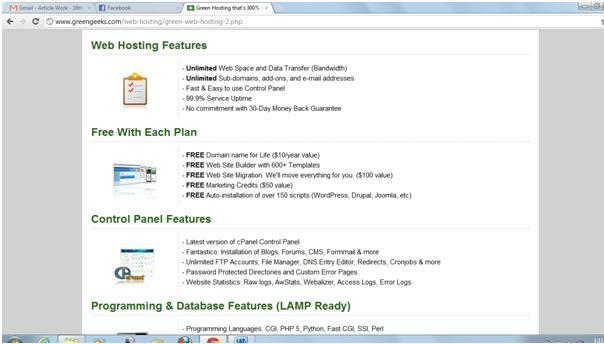 The company offers free site builder and front page extensions along with 300% green web hosting. Green Geeks is a complete ecofriendly green energy hosting company. It provides exceptional customer service to all its users. The company has bandwidth and servers of highest quality to provide full customer satisfaction. Green Geeks have dynamic tools for administration of account. Most of the query clients can be solved through the complete self-explanatory video tutorials along with answers to frequently asked questions. The company also offers world class quality support 24x7x365. The clients can choose from several of the web site designing services. The company does not offer Linux hosting alone. If one wants the service of windows hosting then they can check other hosting sections. Also at present, Green Geeks is not offering any service for upgrading of dedicated hosting service. Other than this, the only drawback is that the company is relatively new in the field but has brilliant concept. 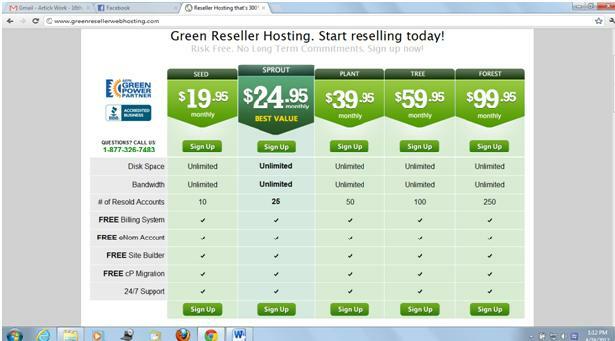 GreenGeeks is the greenest hosting company present on the net today. People who really care about our environment take the superior services of the company. Associating oneself with the company is the biggest advantage as many customers advertise on the site that they are 300% green. Apart from this the company also has web hosting plans that attract everyone as they are quite straight forward. The company offers a single unlimited plan for serving the needs of establishes webmasters that deal with a huge network of sites or new webmasters that work with the help of one site only. Another advantage is that Green Geeks offers site mitigation free of cost. If you are at present using the services of the competitor and switch to Green Geeks, the company would move your whole site to their servers completely free of cost. This feature alone helps in saving precious amount of time and is just priceless. The services of Green Geeks are priced in a competitive manner and offers free set up and domain. It also provides a whole new array of features which are an absolute value for the money that you spend. The services provided by the company are totally reliable. There is quality assurance team present at the Green Geeks for managing the servers and maintain the 99.9% guarantee of uptime. This is quite different from the other web hosts that do their best to put a huge number of clients on a single server for maximizing profits. Whereas at Green Geeks there is strictly followed a religious policy of not overloading the servers. By this the company makes sure that the sites of their customers operate at optimum performance all of the time. The company has a team of highly knowledgeable technical support staff and they are very well equipped to assist the customers in various aspects of the green web hosting service solutions. The company boasts of having staff that is friendly and no matter what location you are calling from, you can always contact the customer service with the help of a toll free number and live chat or with the system of an e-mail ticket. They can be contacted anytime around the clock. The use of 300% green adds extra credibility to the website of the customers. Just like other web hosting service providers Green Geeks takes energy from the grid to ensure that there is a constant flow of power for their servers. For compensating the power that the company pulls out from the grid, Green Geeks purchases wind energy credits for consumption of energy. The company in fact replaces around three times the energy amount used by their servers with the wind power. With this phenomenon, the customers of Green Geeks can proudly claim that their website is 300% green and are in fact actually contributing in making the power systems and the web hosting greener. So in fact Green Geeks not only covers their carbon footprints but it does this for others as well. The services of GreenGeeks are priced in a competitive manner. Before the services were of $6.95 but are now available only for $4.95 per month. Apart from the splashed price, the company also offers several other benefits. These benefits include free of cost marketing credits worth $50, web site migration worth $100, lifetime free domain name worth $10 per year, free web site building services using around 600+ templates and free auto installation of around 150 scripts like Drupal, Word press, Joomla and many more.So order now and avail these wonderful benefits. If one talks about competition as such the company doesn’t face any. No one matches even close to the amazing services offfered by Green Geeks . some of the companies present in the market includes Webhosting hub, ipage, Host Gator, Fat Cow, Super Green, Host Papa, Web Hosting Pad, Dream Host, Tiger Hits etc. There are plenty of reasons for choosing Green Geeks over the web hosting service providers present in the country. The company provides an excellent host of services at amazing price and that has made them the no. one players in their field. Although being green costs more the people at Green Geeks just love the environment and strive continuously for positive change and give maximum customer satisfaction. The managers and officers at Green Geeks come with an experience of over seventy five years from the domain of support services, system administration, marketing, billing, sales, quality assurance etc. The company has the best records of providing world class service to its customers. Their customer help center is open all around the clock all the days of the year. 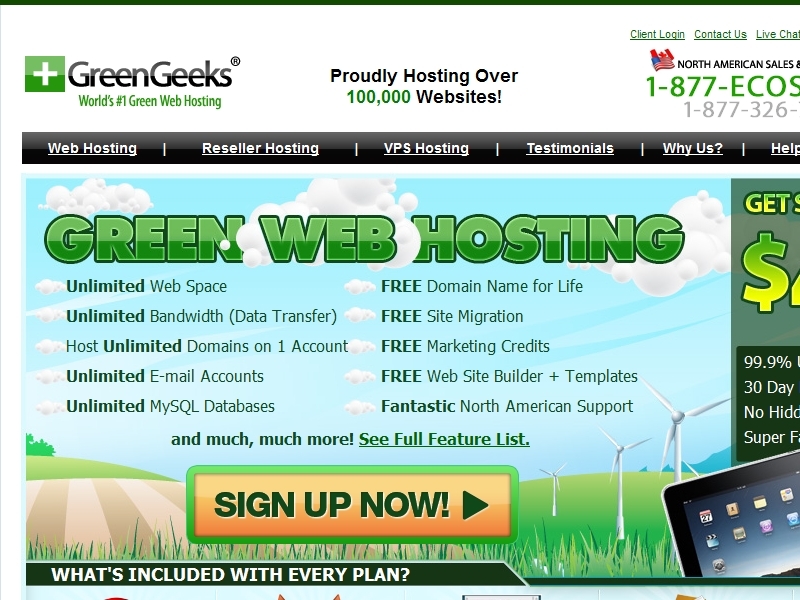 Green Geeks offers incredible web hosting service packages that are very rich in feature and are extremely affordable. It is nearly impossible to find such a package over the internet. They also provide free upgrades and include as many features as possible for their clients. The team delivers what they promise unlike the other web hosting service-providers. The customers can choose from any of the three packages to suit their business needs and help them grow. Even after all this, if the customer is not satisfied with the services provided by the company, their investment would be returned. The customers can also choose an unlimited package which provides for unlimited amount of disk space, domain names, databases and bandwidth for their website. In every aspect, the services provided by the Green Geeks are unmatchable and better than the rest. When the website is down there are n number of problems faced and causes a lot of frustration. Quality Assurance is the prime focus of Green Geeks. The company promises 99.9% of uptime. This is done with the help of best in class high quality servers that the company possesses. Only a limited number of clients are allowed on a single server. This is done even if the company has to sacrifice profits. Customer satisfaction is their main aim. One should definitely try out the services provided by Green Geeks. They are so good to be true. Not only the company is 300% eco-friendly, they provide excellent customer services. Their robust hardware and facility of world class data along with minimum no. of clients on each server and their pro-reactive or active service monitoring allows them to provide maximum customer satisfaction and work with full efficiency. On investing just a small amount for the Green Geeks services, one gets so much in return. The customers get a guarantee of 99.9% service uptime, unlimited disk space, database, domain name, bandwidth etc. completely free, free auto- installer for around hundred and fifty plus applications, and 24*7*365 North American support. Even after all this, if the customers are not satisfied they can opt for money back guarantee within a month. The company provides 300% green energy. There is nothing more that one can ask for by investing just $4.95 for a month. For all the services Green Geeks offers the slashed prices. From $6.95 per month the customers can now enjoy the same at $4.95 for a month. Apart from this GreenGeeks Discount Coupons, the company offers a vast array of services completely free of cost. The free add on services include free of cost marketing credits worth $50, web site migration worth $100, lifetime free domain name worth $10 per year, free web site building services using around 600+ templates and free auto installation of around 150 scripts like Drupal, Word press, Joomla and many more.